The Requirements is the seriousness with which all these mile stones are addressed . Better understanding of a watershed programme. The participatory mode of watershed that integrates with all such mile stone yield the best possible out put in having a better understanding of a watershed programme. The achievements of these initial milestone is not just sufficient. Rather, the effective organizing of capacity building/orientation and training programmes are much required. Right participants during training is the first requirements. After a generalized orientation of watershed programme, it is important to have a sector oriented training with sector related participants . Secondly the number of participants attending the training is important. Too much or too less numbers should be avoided. 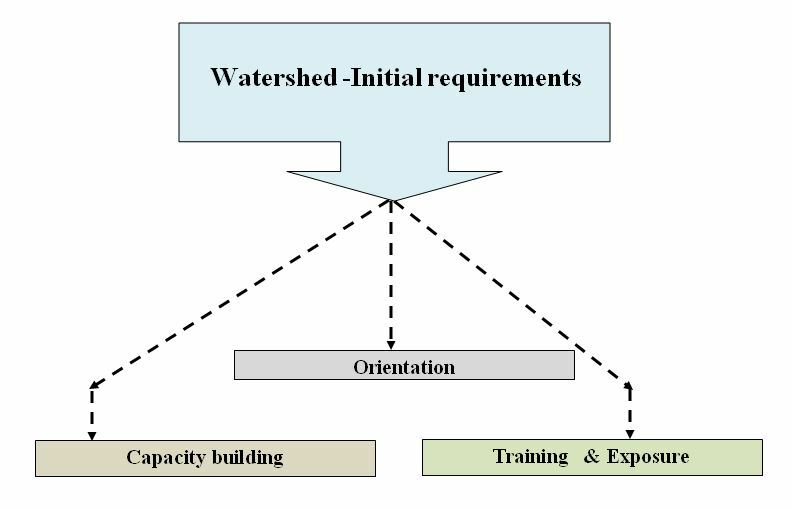 Just like rapport building is key for a PRA ,in the same way right capacity building/orientation and training programmes is key to success of watershed programme. There are voluminous books , journals on watershed written with much dedications and expertise, of course with the objective of its efficient use . But there exists a vast scope of its efficient use, particularly in planning and execution. Truly speaking, there is vast scope of utilizing the technicalities in watershed programme . Lets visualize a watershed training programme. A 3 days rigorous training programme for watershed projects has just finished. The participants has many concepts in mind say formulas , slope , runoff etc .Most have understood these aspects. Very next day , while entering the watershed area , he/she don’t understand the application of the formulas as explain in theory. why is it so ??? ?.The participants fails to connect the theory as explained in training class with its ground realities. Certainly its need a virtual visualization right in the training programmes itself . Participants can feel as if they are seeing the ground realities side by side of theoretical explanation. 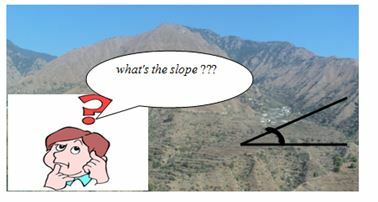 That’s what is required ex- it is very easy to say ,a particular water harvesting structure should be constructed at slope of 5% but whether the participants can draw any conclusion from 5% slope .A visualization of 100% slope can make them aware of 5% slope .